Alert! Books LIVE, in conjunction with the Department of Arts and Culture and Short Story Day Africa, is delighted to announce the Twenty in 20 Project, a Twenty Years of Freedom initiative whose aim is to identify the best South African short stories published in English during the past two decades of democracy. And we need your help! We’re asking the Books LIVE and Short Story Day Africa communities – and all who have an interest in the art of the short story, South Africa-style – to submit your picks for consideration. See below for how to enter the stories you love the most. Over the past two decades, artists have told the story of South Africa’s years of freedom – the trials, the tribulations and the triumphs of democracy – through various means, but one form in particular has surged to renewed prominence during this time: the short story. The objective of the Twenty in 20 project is to identify those short stories that have been particularly acute in their observations, telling in their allusions and gripping in their imaginative scope, published in English since 1994. Members of the public will be invited to submit stories for consideration as one of the Twenty in 20, and a panel of distinguished judges will determine the final list. The stories will be (re-)published in a new compilation to be launched during National Book Week later this year, with each author receiving an honorarium for their inclusion. 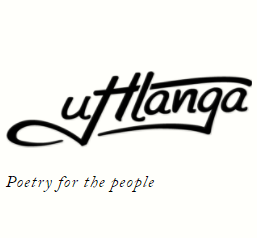 The Twenty in 20 short story project’s final list of stories will be determined by a panel of judges distinguished by their contribution to South African literature. Mandla Langa (Chair) was born in Durban and studied at the University of Fort Hare in Alice, Eastern Cape province. 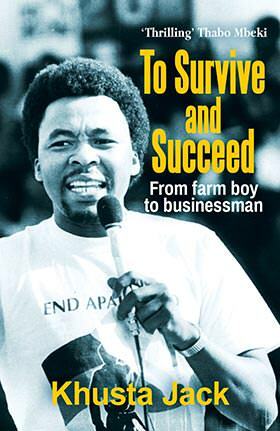 He left Fort Hare after playing an active role in student uprisings in 1972. He went into exile in 1976, and lived in countries such as Lesotho, Mozambique, Angola, Zambia, Hungary and the United Kingdom. In 1980 he won the Pan African DRUM Magazine story contest and in 1991 he was awarded the Arts Council of England bursary. His latest book, The Lost Colours of the Chameleon (2010) was shortlisted for the prestigious Sunday Times Fiction Prize and won the Commonwealth Writers Prize for Best Book – Africa Region. In 2007 he was awarded the Order of Ikhamanga in Silver. Karabo Kgoleng is a South African arts journalist and broadcaster with a decade’s experience in the fields of print and radio. She is currently producing a television documentary on post revolution identities while expanding into multimedia arts journalism and community arts. She is a recipient of the South African Literary Award for journalism, previously featured in the Mail & Guardian Book of South African Women for promoting the arts in the media and is a former Mail & Guardian 200 Young South Africans honoree. Karabo is on the board of the Trevor Huddleston Memorial Centre. She is based in Johannesburg. Mtutuzeli Matshoba is a founder member of the Staffrider literary and arts journal, short story writer, film script writer and script editor. Matshoba is among South Africa’s select literary activists who through their writing – and despite the draconian censorship system of the 70 and 80s – were able to address social problems caused by racial discrimination in all areas of South African life. His collection of short stories on urban black experiences in the 70s, Call Me Not A Man was published in 1978 and followed by Seeds of War, a novella on forced removals that won the Southern African English Academy Award for Creative Writing in 1980. Fiona Snyckers studied English Literature at Rhodes University and the University of the Witwatersrand. She is the author of the Trinity series of novels, and the Sisterz series of mobile novels. She has published numerous short stories in magazines and collections. She reviews books for The Times and blogs on the Mail & Guardian‘s Thought Leader and Women platforms. She lives in Johannesburg with her family. Here are the key dates of the Twenty in 20 short story project. May: Books LIVE announces the Twenty in 20 project with support from The Department of Arts and Culture and Short Story Day Africa and issues the call for submissions. June: The core project partners, comprising Books LIVE staff, Short Story Day Africa project managers, a representative of the Department of Arts and Culture and the chair of the Twenty in 20 judges identify a longlist for the full judging panel to consider. Friday 20 June: The longlist is announced on Books LIVE, with support from Short Story Day Africa. June and July: The project judges read and deliberate on the longlisted short stories. Stories must have been published in English between 01 January 1994 and 27 April 2014. Stories translated into English will be accepted, as long as they were published both in their original language and in translation during the consideration period. Stories must have been published, in hard copy or digital form, in a journal or book that was published by a recognised trade or educational book publisher, literary journal or other literary organisation. Stories may not have been self-published only. Stories must have been written by a South African citizen or by someone who resided in South Africa for at least three consecutive years during the consideration period. The maximum length for an entered story is 10 000 (ten thousand) words. Stories written by the judges may not be considered. Stories may be nominated by anyone, including their own authors. Nominations must be received by 31 May 2014. Stories may be submitted via the project’s online submission form or via email (see below). Thank you for participating in the Twenty in 20 project, an initiative to celebrate South Africa’s 20 Years of Freedom. We look forward to receiving your submissions – and to the feast of short story reading that’s in store! Stop! Don’t go any further until you’ve clicked the “submit” button above. Wait for the “submission received” notice to ensure your story has gone through. Thanks for your contribution! Question from Facebook: Is there a minimum length to the stories (given the maximum of 10 000 words) - ? Answer: there is no minimum. What a great idea. But so difficult to narrow the field to 20! South Africa abounds with fine writing.